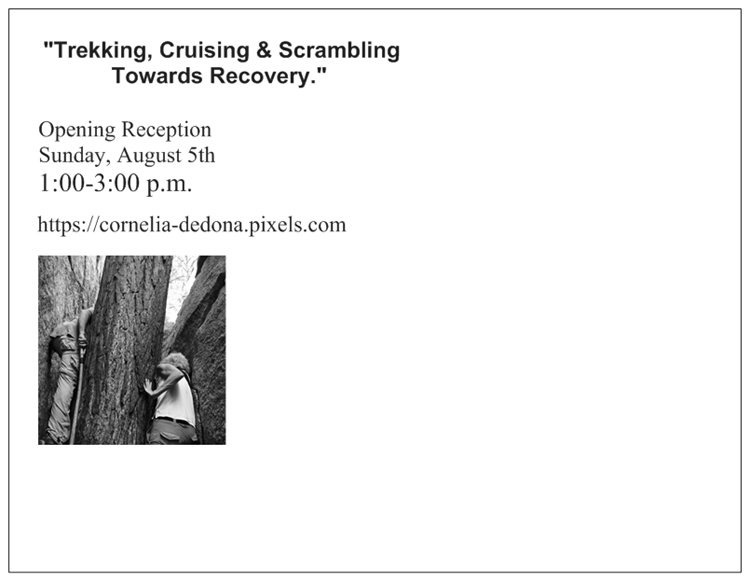 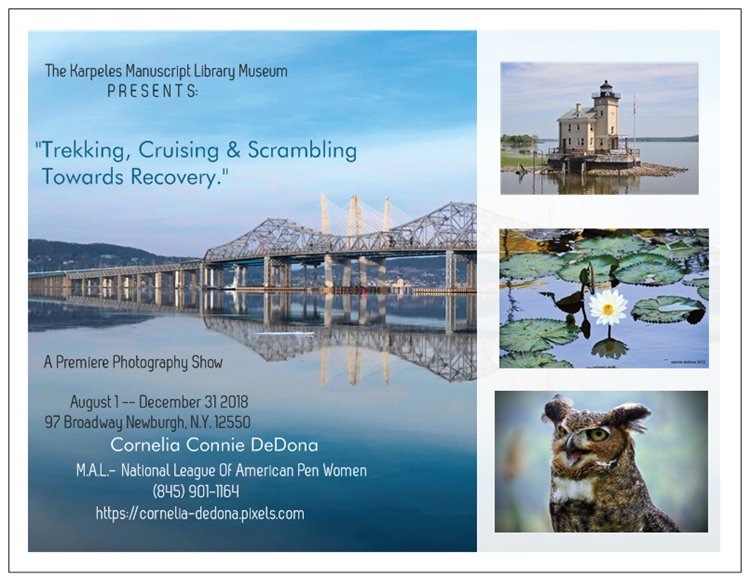 National League Of American Pen Women’s’ Cornelia Connie DeDona is proud to announce her Photography Exhibition “Trekking, Cruising & Scrambling Towards Recovery” at The Karpeles Manuscript Library Museum. 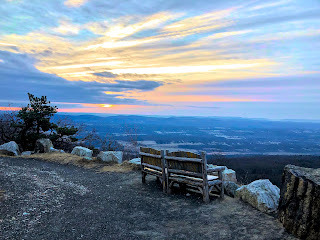 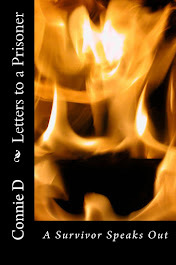 A domestic violence survivor, award-winning author, and juried artist, Cornelia’s work has exhibited at A.S.K.in Kingston, Barrett Art Center in Poughkeepsie, The Karpeles in Jacksonville, Florida and the Women’s National Democratic Club in Washington D.C. Come and meditate on her compelling images of Mohonk Preserve and neighboring Minnewaska. 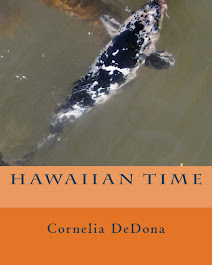 Be transformed by the healing power of our beautiful Hudson River and then transport yourself to exotic locales. "Trekking, Cruising & Scrambling Towards Recovery"